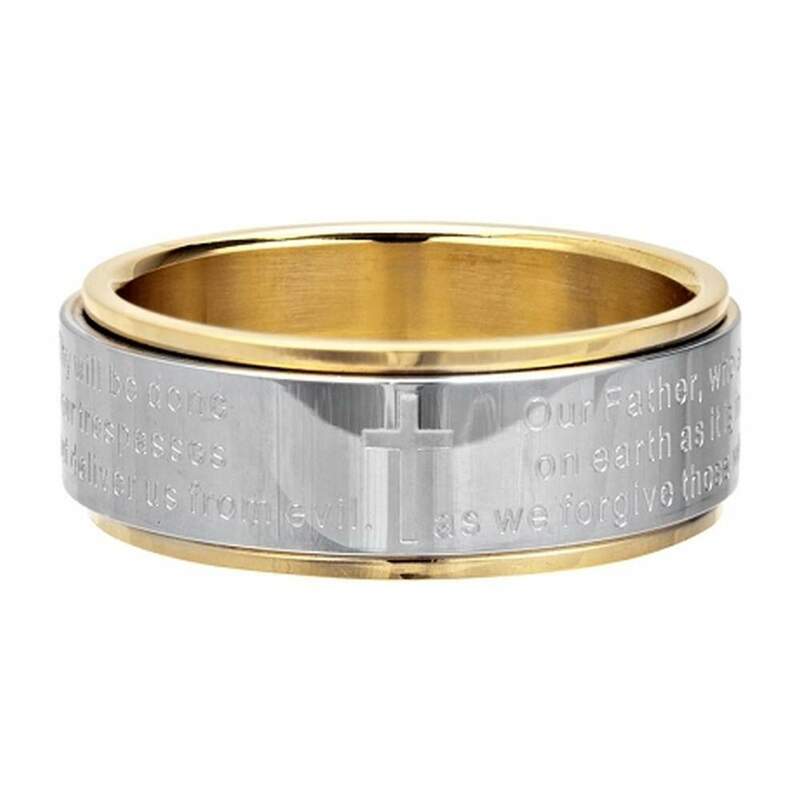 Etched, laser cut stainless steel reveals the words of the Lord's Prayer in this two-tone polished stainless steel spinner ring. The bottom layer of this 8mm ring is gold PVD plated, while the spinning outer band is made from polished laser-etched stainless steel. We loved the ring. It fit just right and the inscription is beautiful. 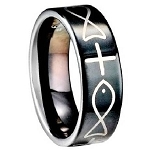 I absolutely love and enjoy this ring. I did have to exchange it for a larger size. I received so many compliments about this ring.